It was our first year of marriage. I had been a full-time college student for the past 3 years and had not had a car at school. So the wedding gift from my parents – a used Ford Tempo – was a huge treat. My biggest challenge was not getting back into the swing of driving (it’s just like riding a bike, right? )…my challenge was getting used to pumping my own gas. That’s right, I was terrified of pumping gas. I had learned how to drive and received my drivers license from Oregon, where it was illegal to pump your own gas. And then I spent 3 years in another state without a car and ended up as a young married woman who would have anxiety attacks thinking of having to pump my own gas. I was able to avoid the gas situation fairly well for a few months. I just conveniently made sure that my new husband was in the car when we stopped at the gas station. Unfortunately, my plan to avoid pumping gas failed, as faulty plans like this tend to do. I had received a call from my husband to come pick him up from work. I made it to his work and about a block down the road when the car died. I had run the tank completely dry. This was the age before cell phones, so I had to stay with the car for an embarrassing 15 minutes while D walked back to work to call my grandpa, who rescued us with a gas can he always kept in his pick up truck (Grandpa was the kind of person who bought a truck in his 70s just so he would be able to help people move. He was always prepared). Grandpa filled us up enough that we could make it to the nearest gas station. And from that day on, I was infinitely more terrified of running out of gas than I was of pumping gas….In other words, I never had trouble pumping gas ever again. What are some other things you’ve run out of at inconvenient times? Cash? (Have you ever gotten up to the register with a cart full of food only to realize that you have $2.37 change in your purse AND NOTHING ELSE?) Food? (Have you ever invited people over for a get-together only to discover that you didn’t plan enough food?) Toilet paper?? I can’t tell you how many times my own kids have done the same thing to me at home. Scott® doesn’t want anyone to have to feel that panic, which is why they’re giving a little extra. The 1000 bonus pack at Sam’s Club now has 1100 sheets – a BONUS bonus! 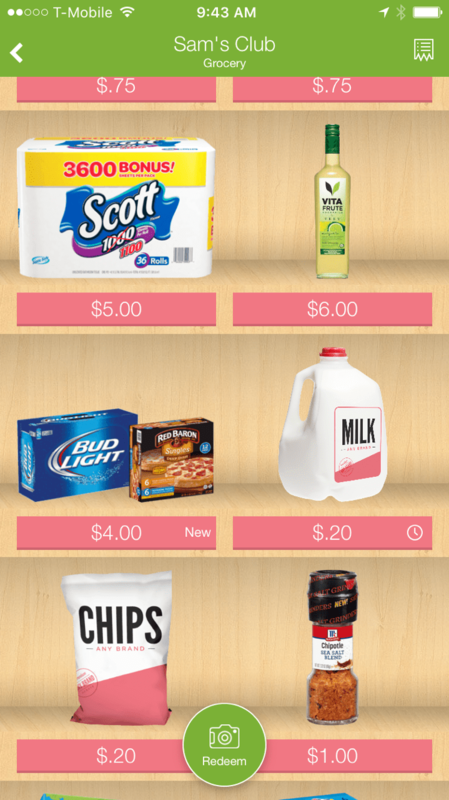 I headed to my local Sam’s Club last week to pick some up (because in a big family like mine, we can ALWAYS use a little extra TP) but first I checked my Ibotta app. Have you used Ibotta before?? You can earn cash back rebates for the things you buy at your favorite stores – even basic things like milk and cheese and lettuce. 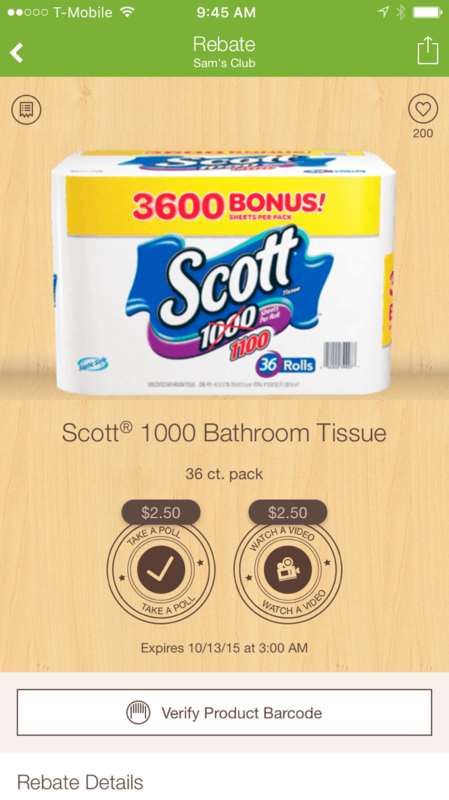 I found a $5.00 rebate for the Scott® 1000 bonus pack at Sam’s Club. It was as easy as making my purchase like I normally do and then scanning the product and taking a quick picture of my receipt. Quick and easy! Grab a Scott® 1000 bonus pack for yourself. Your family will thank you (because no one wants to run out of TP). Don’t have a Sam’s Club membership yet? I can help you there, too! Just sign up here for a membership or try it out for free for a day to see if Sam’s Club is right for you (and pick up a Scott® bonus pack while you’re there…).